Royole Corporation, a leading innovator and manufacturer of next-generation human-machine interface technologies and products such as advanced flexible displays, flexible sensors, and smart devices, has the perfect one-size-fits-all back-to-school essential for students of all ages: the RoWrite smart writing pad. Based on the company's unique and patented flexible electronics technologies, RoWrite is designed to accurately capture, store, and share all manner of handwritten material for digital applications. "The RoWrite is designed, literally, for students of any age, from kindergarteners to those doing post-graduate work and every level in between," stated Royole's Sr. Director of Marketing, Michael Williams. "The unit captures real-time writing, from perfect penmanship to basic scribbling – on standard paper with traditional pen refills, from where it can be immediately digitally reproduced directly onto any smart device, the cloud, or saved to be transferred at a later time." RoWrite offers students an improved, more intuitive, tactile experience of pen to paper rather than the less-than-ideal experience of writing directly on a tablet. 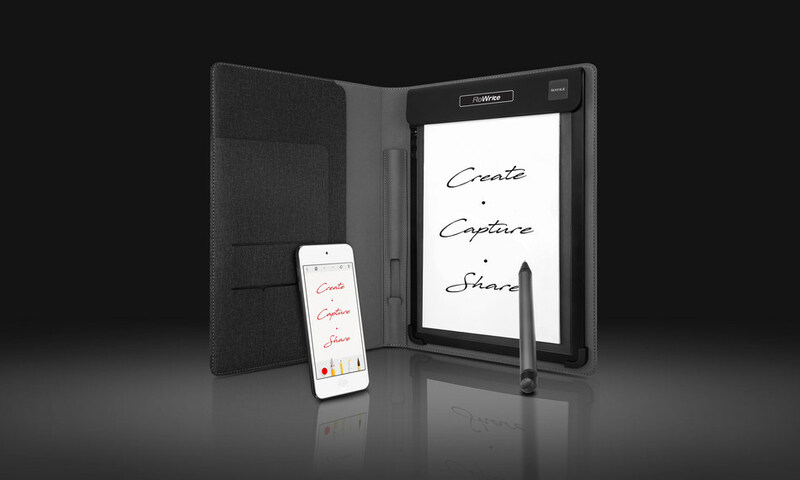 They can easily capture class notes, homework, sketches, drawings, and more. STEM students will find that writing formulas, diagrams, integrals, calculations, chemical compounds, etc. that are difficult to enter into a digital device using a keyboard are more easily done with the human hand and RoWrite. Convert to Text even translates handwritten notes into editable text. And, studies have shown, data retention and recall are improved from handwritten notetaking over typing. Everything is done in real-time; however, the device also works without the need of a smartphone or tablet. Content is saved directly on the RoWrite, where it can be synced later with a smart device and to the cloud. With 2048 force-touch handwriting sensitivity, an accurate representation of the written material – including pressure intensity – is assured with no writing break off or delay. The companion RoWrite App allows students to edit or enhance digital copies in real-time, such as selecting from different writing instruments, changing stroke thickness, or adding up to 20 colors. They can even digitally erase, or capture videos of their creation to share with fellow students or teachers. The app is available free at both the Apple App and Google Play Stores. Royole's flexible sensor technology stems from the company's development of next-generation AMOLED flexible displays. Its flexible sensors offer many advantages over traditional sensors, including higher performance, shorter production cycle, and lower costs. The company holds numerous patents with respect to materials, processes, and designs centered on flexible electronics applications with its innovative Flexible+ platform. Royole's flexible sensor technologies can be integrated into a variety of products and applications to improve the way people perceive and engage with their personal environments – from consumer electronics to smart transportation, smart home to sports and fashion, office and education to robotics, healthcare, and more. The Royole RoWrite comes with an elegant and functional textured cloth folio and is available at Amazon.com, and Brookstone, as well as select retail locations across the country. For a limited time, it has a special MSRP of $109.99.